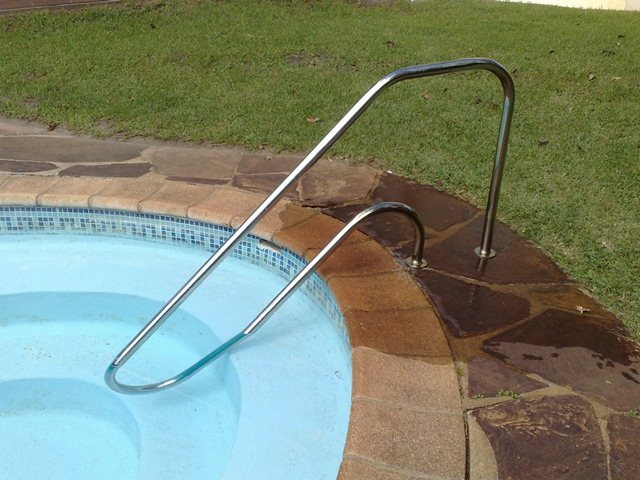 Our Pool Ladders are manufactured using grade 316 stainless steel. 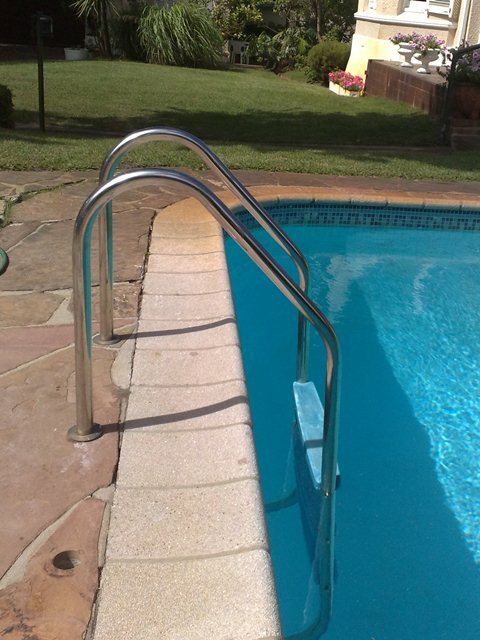 Our Pool Grabrails are manufactured using grade 316 stainless steel. They are mounted outside the pool, and cantilever over and down the pool steps. Mounting for both the ladder and grabrail is done outside the pool, with the lower ends of the ladder's rails resting on the pool wall. The mounting can be done by grouting the rails into core drilled holes, or we can supply baseplates for bolt-fixing.